This secret I discovered back in 2002. It has really worked wonders for me – like night and day. As soon as I discovered this, it made my life much more satisfying and profitable. I was on a plane traveling from the West Coast to the East Coast. As I sat on the plane I did what I typically did on long trips: get in some work and then I would do time distortion. That is a hypnotic technique that allows you to alter time. In this case I was speeding up my trip. So instead of feeling like I was sitting on an airplane for 6 hours, it felt like 15 minutes. Anyhow, as I started that process, I stopped. I was immediately struck by the fact how about if instead of time distortion on these long trips, I just retired. – NOT putting up with any drama from anyone – PERIOD. Now at the time I decided to retire, you may think, well Geoff that is good and well for you but I cannot afford it. The fact of the matter is I could not afford to stop generating income then either., but that did not stop me from retiring. In fact, since that day in 2002, I completed the work I had on the books, but since then I have not worked one day in my life. I have played and gotten money but NEVER worked. I have served others but ONLY those I wanted to serve. I have travelled but only when I want. And when the occasional person sneaks into my life and lays on some drama, they are removed. And a funny thing happened along the way, I got more and more successful. – Do only what you want. – With only who you want. – Only when you want. – And you get rewarded. I’m still not sure how it makes sense but I can tell you, it worked for me. Plus, the few people I have shared this with have also found magical success with it as well. Perhaps it will work for you or perhaps something like this already has. Let me know. 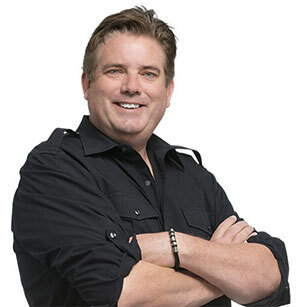 Co-Founder of StealthSeminar.com, Geoff Ronning has observed over 7 million webinar attendees and can help you create a webinar that will provide tremendous value for your attendees and reach your conversion goals. WANT TO IMPROVE YOUR WEBINAR RESULTS FAST? We believe the best way to acquire business is by demonstrating your expertise, building trust, providing value and helping your clients and prospects achieve their goals upfront. We help you create a webinar that will provide value for your attendees and reach your organizations conversion goals. Whether those objectives are to build relationships, position your organization in a certain way, generate leads or make sales, you can rely on our expertise.